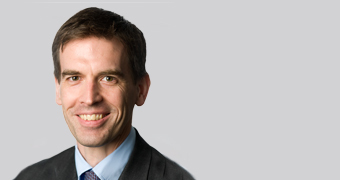 Speech by Marc Teasdale, Director, Market Oversight, FCA, at the Investor Relations Society Conference, London on 23 June 2015. This is the text of the speech as drafted, which may differ from the delivered version. I’d like to start by thanking the Society for giving me the opportunity to open the afternoon session of the 2015 Conference. The whole of my regulatory career has seen me working closely with issuers and investors, and with the advisory community that supports the essential dialogue between them, so I am delighted to be here today. Ahead of our panel discussion I will give a broad overview of three areas. Firstly, I’ll look at developments relating to inside information, both through the recent Tribunal judgement in the case of Ian Hannam, and through the changes to the regulatory landscape as a consequence of the upcoming Market Abuse Regulation. These developments bear directly on the day to day dialogue between investors and issuers. Secondly, the use of dealing commission to fund company research has attracted a good deal of recent regulatory attention, both domestically and internationally, so I will spend some time on this important subject. Finally, I’d like to describe at a high level our recently announced market study into investment and corporate banking. In this context I intend to pick out particularly the IPO process, a process that has been much commented on of late. So, to start with developments relating to inside information. The Market Abuse Regulation or 'MAR', will apply in the UK and across the EU from July 2016, and will replace the current Market Abuse Directive or 'MAD', which was adopted in 2003. There are two areas in particular where MAR introduces new requirements which should be of direct interest to the investor relations community - market soundings, and the connected requirement to produce insider lists. Market soundings are of course a well-established practice that play an important role in supporting the proper functioning of markets. MAR will introduce a new framework for conducting market soundings within which legitimate disclosures of inside information can be made. For example, those undertaking the sounding should, beforehand, assess the nature of the information which will be disclosed, and maintain a written record of this assessment. During the sounding, the recipient should be informed of the resulting legal duties that come with the possession of inside information, and the recipient’s consent to receive the inside information should be obtained. There are also a number of record keeping requirements. Many of these requirements are already good market practice which MAR will simply formalise. ESMA is also currently in the process of finalising so-called “level 2” work which will add more detail to how these requirements should be met in practice. It should be noted that these are not absolute requirements – these are provisions, which if followed, will protect individuals from allegations of unlawful disclosure. Persons who do not follow these steps are not necessarily committing market abuse, although they are open to allegations of having done so. Under MAR, as currently, issuers are also required to draw up an Insider List, a list of all persons working for them (whether as direct employees or as advisers) who have access to inside information. This requirement serves a number of purposes – from the issuer’s perspective it allows the tracking and control of the flow of inside information. From our perspective as a regulator, insider lists are an invaluable tool when it comes to investigations of potential market abuse, as they help us to build a picture of who had access to inside information, and when. MAR will clarify for the first time that where an issuer delegates the task of maintaining an insider list to a third party, the issuer remains responsible for complying with the requirements. Issuers will also be required to retain an insider list for 5 years after its last update. As with market soundings, more detail will be added to these overarching requirements through ESMA’s level two work, including the precise format of the insider list, and the requirements for updating it. So under MAR, there will be more detail and prescription for issuers to think about and accommodate as they update their internal procedures. Although we have been sympathetic throughout the consultation process to concerns from the issuer community about the additional administrative burden the new requirements might entail, we share the view that the proper control and dissemination of inside information is essential to confidence in the integrity of our markets. We can also see the benefit of a clear framework within which issuers can have the confidence to undertake the dialogues with investors which are essential to the proper functioning of markets. The recent tribunal decision in the case of Ian Hannam demonstrates the importance of getting it right when handling inside information. In that case Mr Hannam was found to be guilty of committing market abuse by disclosing inside information improperly in relation to his client, Heritage Oil. The judgement in this case contained a detailed and valuable discussion of a number of questions and issues that bear directly on some of the difficulties that can be experienced in this area. I won’t have time today to summarise all the points of interest coming out of this case, but would encourage you to famaliarise yourselves with the key details of the judgement if you have not done so already. There are however three points that I would like to particularly emphasise. Firstly, the tribunal found that Mr Hannam was unable to use the defence that he was passing the information in the proper course of his employment because he hadn’t ensured that the recipient of the information understood and accepted that they were subject to a proper obligation of confidentiality. In a sense, this aspect of the judgement is consistent with one of the broad themes underlying the upcoming MAR changes – that the care and custody of inside information is an important area where an informal approach to the process followed is unlikely to be sufficient. Secondly, the judgement looked at the question of the sort of information that is capable of constituting inside information. This question was looked at from a number of perspectives. Perhaps the most interesting finding was in relation to the circumstances in which information about future events (which have not yet happened, and may in fact never happen) is capable of constituting inside information. Here the Tribunal indicated that there is a realistic prospect of something happening where that prospect is more than fanciful. This draws the line at a relatively low level, and it is clear that it is not necessary for a potential future event to be more likely than not to happen in order for it to constitute inside information. Although some feel this judgement merely re-affirmed existing case-law, reaction to the case from the legal community in particular suggests that some issuers may need to revisit their policies to ensure that they properly accommodate this aspect of the ruling. Finally, and closely linked to this question, is the issue of the circumstances in which disclosure to the market of inside information may be delayed. Although the Hannam judgement dealt principally with improper disclosure, the findings in relation to inside information are equally as relevant to an issuer’s continuing disclosure obligations. The judgement details some of the circumstances in which a delay in announcing inside information would be appropriate, with some commentators expressing the view that the judgement seemed to contemplate delay in a broader range of circumstances than the FCA’s guidance under the Disclosure and Transparency Rules seemed to allow. We have also received feedback that the combination of the definition of inside information detailed in the judgement, and the potentially restrictive guidance we have provided in the DTRs on the circumstances in which delay is permitted, is an unhelpful combination which might lead to unnecessarily early regulatory announcements of inside information. Having discussed this issue extensively with market participants, we hope to be able to communicate our public response relatively soon. Before leaving the Hannam judgement, there is one further point I would like to stress – a number of market commentators are of the view that the judgement has changed the regulatory landscape in ways which are significant for the dialogue between issuers and their investors. One example that we have become aware of anecdotally relates to the more informal discussions that seem to have replaced quarterly reporting, where there can be differing views (at times between the two different parties to the dialogue) as to whether inside information is being passed. As should be clear, whether inside information is being passed is a point on which there should be absolute clarity between the parties to any dialogue. So again, if you are unfamiliar with the key elements of this judgement then please take the time to consider it properly, and if you are in any doubt as to whether it has an impact on the discussions you are used to having, then please seek professional guidance. The second area I wanted to talk about today is the subject of dealing commissions and research. This is a subject that has attracted both domestic and European regulatory attention over the last year or so, and which I’m sure is of keen interest to the Society. Taking a brief step back, I know that one area that you will be familiar with is corporate access - payments by investment managers to brokers to arrange access to senior management of companies. Back in 2012, an FSA supervisory review of conflicts of interest in the asset management sector uncovered the increasing use of dealing commissions to pay for this access. When we looked at this issue in detail, we had concerns that using this transaction cost mechanism to pay for access favoured firms generating the highest execution commissions with a broker, so potentially those trading more frequently, rather than the best long-term investors for the issuer. We also found that amounts paid for meetings through dealing commission – which of course are costs the investment manager passes on to its clients in addition to management fees - were often much higher than similar services offered by non-broker third parties. We were also clear that the service provided did not meet our criteria for research that can be acquired with dealing commission. Investment managers can still pay for corporate access directly. But by removing the link with dealing commissions, we think this process, and the costs it involves, will be both more transparent and less impacted by potentially competing incentives. Since clarifying our rules, we have seen firms taking steps to better manage costs and conflicts of interest in this area, as well as innovation to facilitate more direct access between investors and issuers. Our policy thinking in this area generally has been closely informed by the wider review of the UK dealing commission regime that we undertook in the period from November 2013 to spring 2014. The review included engagement with over 130 stakeholders through policy roundtable discussions and meetings involving both buy-side and sell-side firms, as well as independent research providers, and investor and corporate issuer representatives. We also undertook thematic supervisory work involving 17 investment managers and 13 brokers. We think the proposed reforms will lead to a more efficient allocation of resources toward research that adds the most value to asset managers’ investment decisions. This should create a clear opportunity for research from more specialised providers, including in the coverage of SMEs. Unbundling fees and services by brokers will enable proper pricing and competition in the research market, which should result in better products and services from a more diverse array of providers than under the current model. Of course, a number of market commentators have raised concerns about the unintended consequences of these good intentions, and no doubt we will come on to discuss this important area when we move onto the Panel discussion. Finally I would like to spend a little time talking about the market study into investment and corporate banking that we recently announced. Since the FCA was established in 2013 we have had an objective to promote competition in the interests of consumers. As a result, we have begun undertaking market studies which look at competition across whole markets. These studies can conclude that competition in a market is working well or that further guidance or new rules are required. The FCA can also refer a market to the Competition and Markets Authority for a full competition investigation. Last month we launched a market study into investment and corporate banking services following the feedback we received from market participants in response to our call for inputs in July last year. This feedback identified a number of potential competition issues, including some which may affect smaller clients more than bigger clients. The UK is a global hub for investment banking, and this sector plays a crucial role in our economy, helping companies raise capital for investment, expansion and the funding of ongoing operations. We want the regulatory framework to encourage effective competition so that clients of investment and corporate banks receive the services that they want at a competitive price and a high quality. During the market study we will speak to a wide range of market participants to understand any areas where competition is not working effectively. We want to encourage those clients that have recently been through equity and debt issues to tell us about their experiences. We are particularly interested to hear from smaller clients. We also want to hear from new entrants with different business models. The purpose of the market study is to identify whether competition is working effectively – we have not concluded that problems exist and our decision to launch a study does not demonstrate that there are endemic problems in the sector. Firstly, what choice businesses have when choosing banks and advisers, and how they go about making their selection. So for instance whether certain types of clients, such as smaller issuers, are less well served by the market, or whether there are significant barriers to entry for new players. Secondly, whether the practice of bundling services together is restricting competition. We heard a number of concerns from market participants relating to the market practice that sees investment and corporate banking services sold together. The concerns are that bundling or cross-subsidisation may restrict a client’s ability to switch, and may create barriers to entry or expansion for more niche players. We intend to use the market study to examine whether such bundling or cross-subsidisation occurs, and if so, whether it has adverse effects on competition and clients. Finally, whether there is sufficient transparency at key points in the primary market process. One particular example of this issue is the question of whether current market practice relating to the provision of information during book-building in the IPO process best serves the interests of investors. I intend to spend a little more time talking about this subject today. Concerns about the way in which investors are informed about issuers during the typical IPO process were raised by Lord Myners in his report into the Royal Mail IPO, which built upon valuable work performed by the ABI in its 2013 report into equity markets more generally. One concern that arose from both these reports is that investors participating in the traditional book-building process during an IPO do not receive the necessary information at the appropriate time. Concerns have been raised that the consequence of the black-out period under an IPO (a period of typically two weeks following the publication of connected research during which no further material can be published) is that the prospectus arrives too late in the process, such that it is not fully performing the role that investors would like it to perform. As a consequence, substantial investment decisions are made on the basis of connected research with investors saying that they have the prospectus itself for too little time to inform their investment decisions. Is intervention needed, and if so what form should it take? Some argue that the rude health of the IPO market over the last 12-18 months strongly suggests that no change is needed. However, if we find that intervention is needed, we have already heard of a couple of potential solutions. Certain market commentators have called for a shortening of the black-out period, and have called on the FCA to issue guidance or make a statement to facilitate this. Others have argued that the whole structure of the process should be looked at with a view to ensuring that the prospectus is made available for a period before the connected research. They say that this would enable investors to base their investment decision substantially upon the prospectus, a document that investors tell us should be central to their consideration of a new offering. It could also provide a more level playing field within which more independent research could flourish. The market study will take place over the next 12 months, and on this issue, as more generally, the evidence that we gather under the study will inform both our view as to what the concerns are, whether any intervention is necessary, and if so what form that intervention should take.